Power Control has released the latest life safety, transformer-free UPS range from Borri Spa. 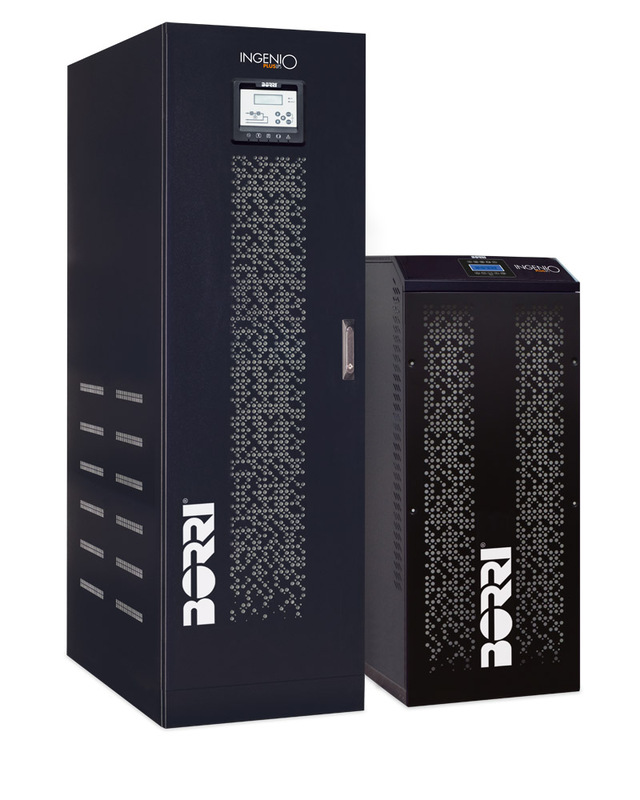 Designed exclusively to meet the European compliance standard EN50171, which outlines best practice recommendations for UPS solutions that support life safety equipment, the ECS (Emergency Central System) range from Borri can be used as a CPSS (Central Power Supply System) instead of a distributed power supply. This is hugely beneficial as a CPSS requires less complex electrical design and can reduce maintenance costs. Borri Emergency Central Systems are available from 10KVA to 160KVA encompassing two models E8031/E8033 ECS (10-50KVA 3/1, 3/3) and the INGENIO ECS (60-160KVA 3/3). Both of these models have been designed in compliance to the international EN50171 standards and the product standard IEC/EN62040. These standards specify obligatory technical features and system testing requirements for UPS systems that are to be used as a CPSS. Already supporting a multitude of life safety applications including smoke extraction, emergency lighting, warning systems and fire suppression, the Borri ECS deliver extended runtimes, 120% overload capability, deep discharge protection and secure enclosures. Manufactured to the highest industry specifications the Borri ECS UPS range includes a 10 year battery life, battery polarity reversal protection and charger temperature compensation. The ECS range has also been designed with unique acid-proof battery cabinets and racks and IP20 metal enclosures as per EN605898-1. With a small footprint, the compact design of the Borri ECS UPS solutions are efficient to install, deliver intuitive monitoring and come with LCD display with the INGENIO ECS also featuring a touch screen display.